I’ve been working on setting up my ‘art cave’ or windowless studio for awhile now. There was an embarrassing amount of junk to sort through, organize and remove before I could get started painting. But that’s all done, except for a few touch ups on the trim and taking the door down to paint which will have to wait until spring. I have a few lights to install and I’m thinking of buying some more shelves since I like the ones I put together last week so much. 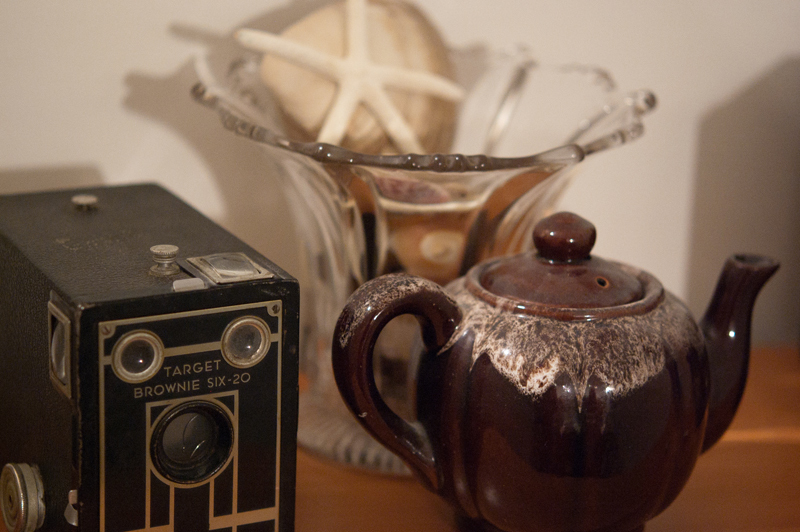 I’ve been digging out some of my old cameras and treasures and giving them new homes. Next to fill my wall space with colour and inspiration.